It has been determined that yasu will be temporarily taking a break from activities due to the continuing condition of his throat since before Acid Black Cherry's 2009 "Q.E.D." Tour. During rehearsals immediately before the start of the tour, yasu complained of discomfort in his throat, causing him to consult a specialist. As a result of that visit, cysts were discovered on his vocal cords. As this is a condition that is difficult to heal through natural progression, it was determined that he needed to undergo surgery. After receiving this diagnosis, we consulted with yasu himself for several days as to the best course of action. Due to his great strength of will, it was decided to proceed with the tour as planned. However, this aggravated the cysts on his vocal cords, causing inflammation. Looking towards a long tour, yasu was hospitalized for a few days to alleviate the swelling, which caused us to decide upon canceling the September 12 show at Koshigaya. 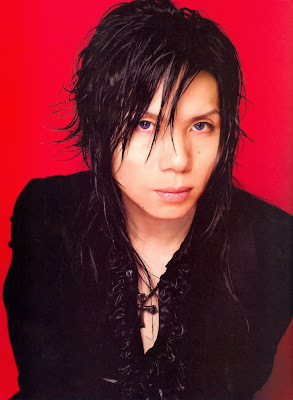 During the tour, there were times where yasu had difficulty with his voice, and his condition was nowhere near perfect; but due to the care he himself was making sure to do for his throat, as well as with some help from prescribed medication, he did not see a worsening of his initial symptoms...so he decided to carry on to the final performance of the tour at the Nippon Budokan. Currently, with the tour at an end, we have once again consulted with yasu himself, who has decided to undergo surgery for the removal of the cysts on his vocal cords to avoid any deterioration of his current condition, as well as the recovery and subsequent medical treatment. As a result of his complete attention being turned toward his recovery, the show planned for December 24 at Osaka-jo Hall has been canceled, and as for the acoustic shows planned as a special favor for the purchasers of the "Q.E.D." album, we will be postponing them until yasu's throat fully heals, with our deepest apologies. When yasu's voice recovers completely, he plans to resume activities. Fanclub members who requested tickets to the Osaka-jo Hall show will be refunded the cost of their tickets and the 500 yen shipping charge. Please direct all inquiries regarding these tickets to Save Us! via phone (03-5728-1558, weekdays, 13:00~18:00).